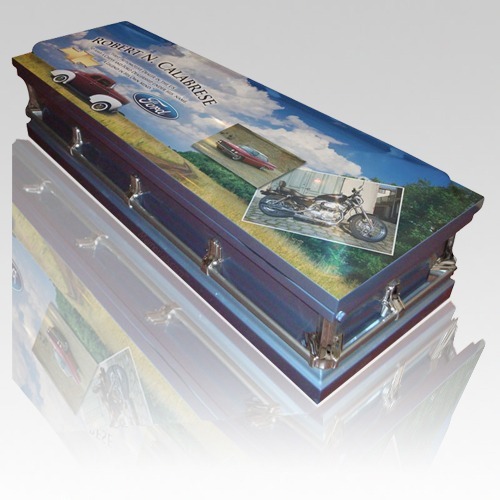 The Our Home and Family Casket is made from semi precious metal with a rounded brushed onyx finish. The inside is a grey velvet. The casket is a half-couch design. The interior also includes a matching pillow and throw. The exterior, meanwhile, is decorated with traditional corners, accessories and full handle bars. Please reply to our e-mail order confirmation with a picture of your home.